3 Storey END UNIT TOWNHOME in Garrison Woods is the lgst in the complex. Located on the quiet side street, this unit boasts exceptional light flow throughout with its SW exposure, an attached garage & 2 outdoor living spaces (300sq.ft. deck & private concrete patio) that back onto greenspace. Loaded with upgrades, this 3bdrm/2.5bath home comes complete with a modern open flr plan, pot lights, HWD flrs, Gas FP, private side entrance, storage, upstairs laundry & formal dining. The kitchen is outfitted w/ gleaming granite counters & island, SS appliances, breakfast bar for entertaining, maple cabinetry, tiled backsplash & under-counter lighting. The Executive style Master Suite is what really makes this unit special! It encompasses the ENTIRE TOP FLR, almost 500 sq.ft decked out with a 5- pc En-suite w/soaker tub, large walk-in closet & cozy reading nook. There are 2 HUGE bdrms & 4-pc bath on the second floor. 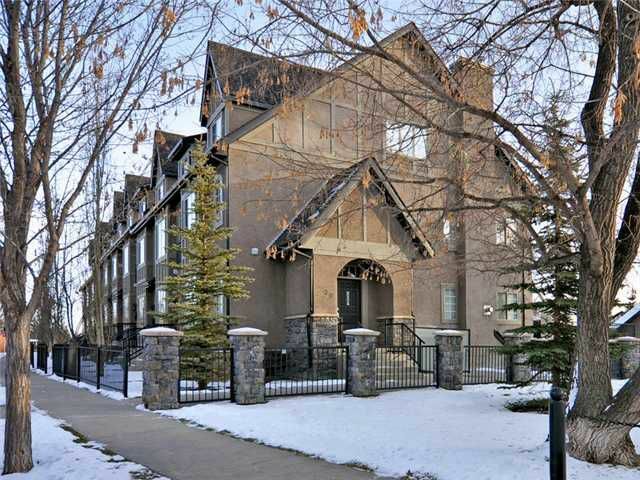 Located steps from trendy Marda Loop shops & restaurants.